I experimented with matrices of LEDs turning off and on in the right places to show the current phase, but it didn’t have the precision I wanted—you could still see the individual pixels. What I realized would work, though, was an EL panel and a mask. I also thought about a segmented EL panel, but that was more complex than I wanted to deal with. 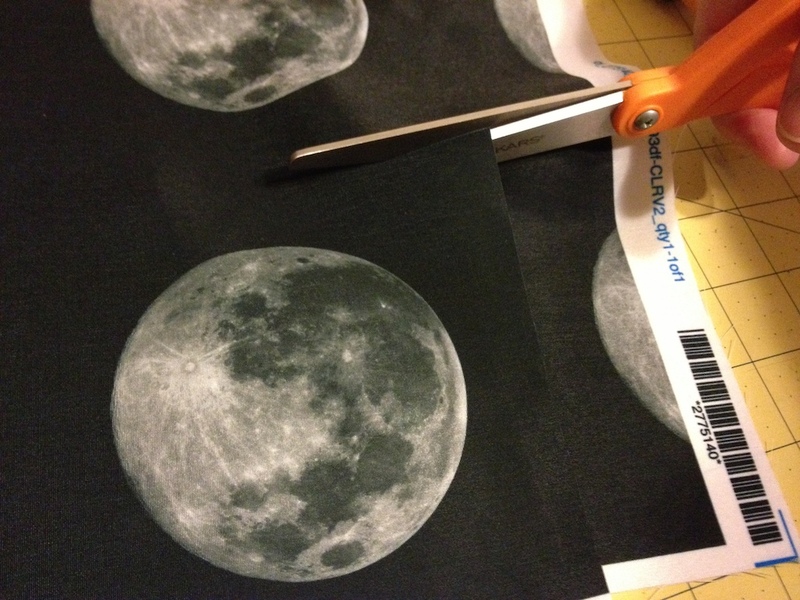 For the moon, I uploaded and ordered a custom print of the full moon from Spoonflower on a lightweight fabric. I was able to fit nine moons onto one sample-sized piece of fabric, so I had spares in case I goofed up (and I goofed up plenty of times). 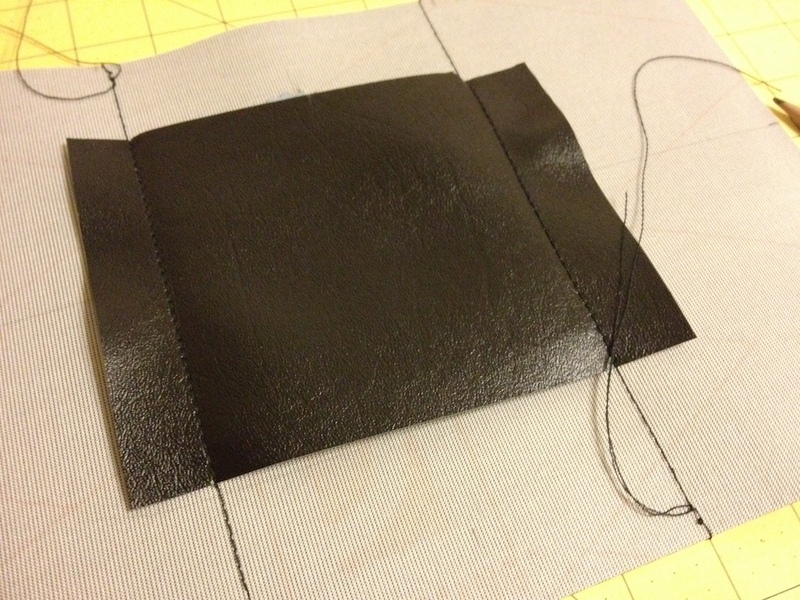 For the template I ordered laser-cut black Delrin from Ponoko, and for the bag itself I chose black marine vinyl from the local fabric store. Electronics came from Adafruit and Sparkfun. 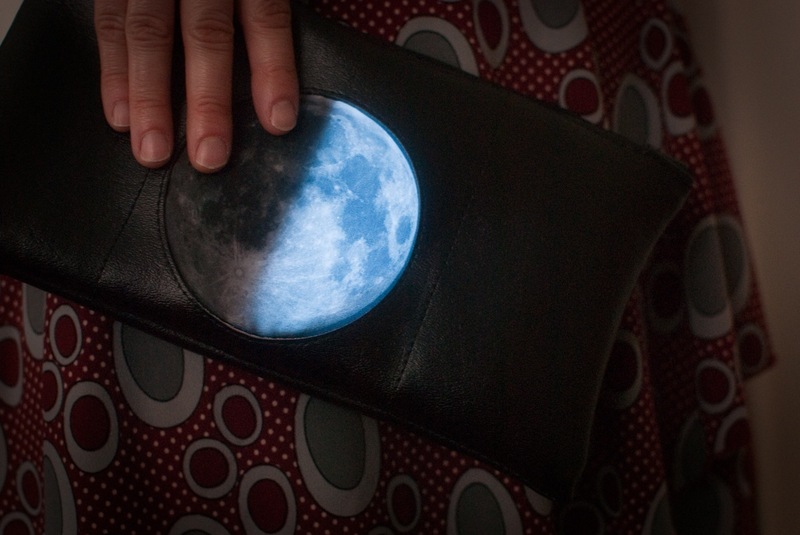 First, I used a circle cutter to make a hole in the vinyl the same size as the moon on my fabric. 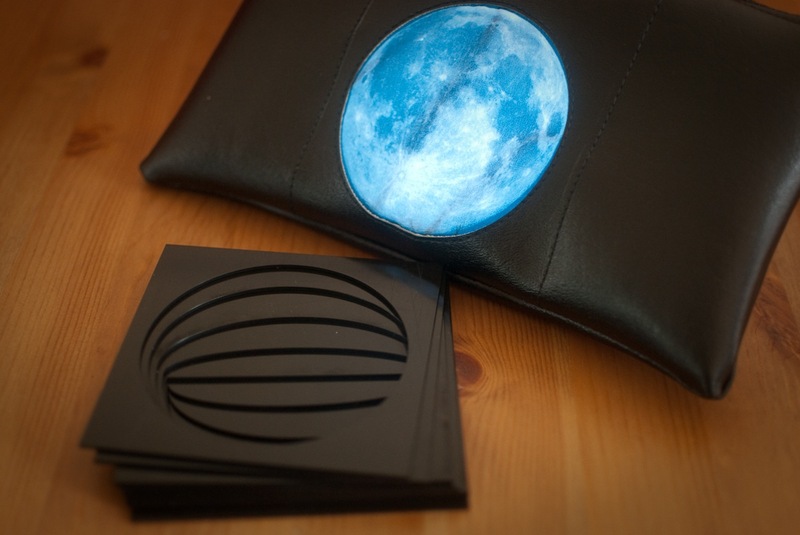 I taped the moon fabric to the back of the vinyl, then carefully sewed as close to the edge as I could. It took three tries, but I finally ended up with a result I liked. 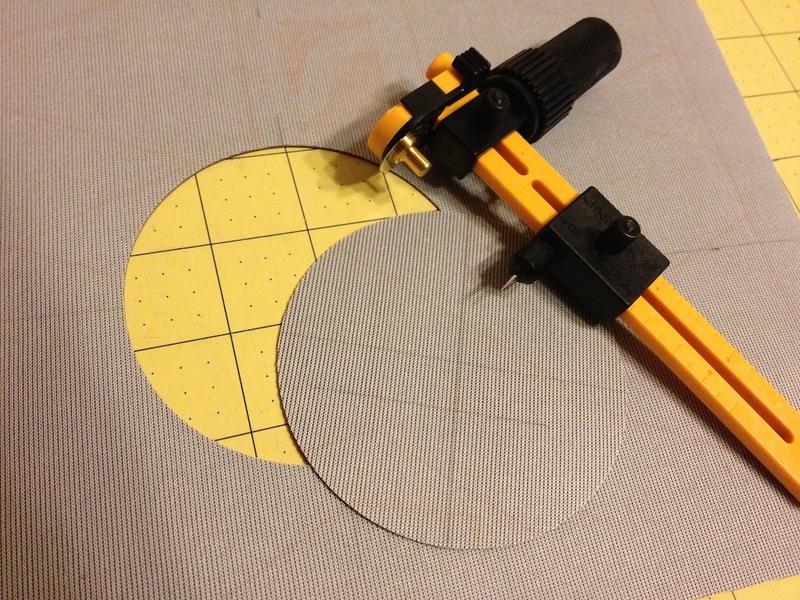 I would need a pocket to hold the moon phase templates and the EL panel against the back of the fabric moon, so I stitched another piece of vinyl to the inside. 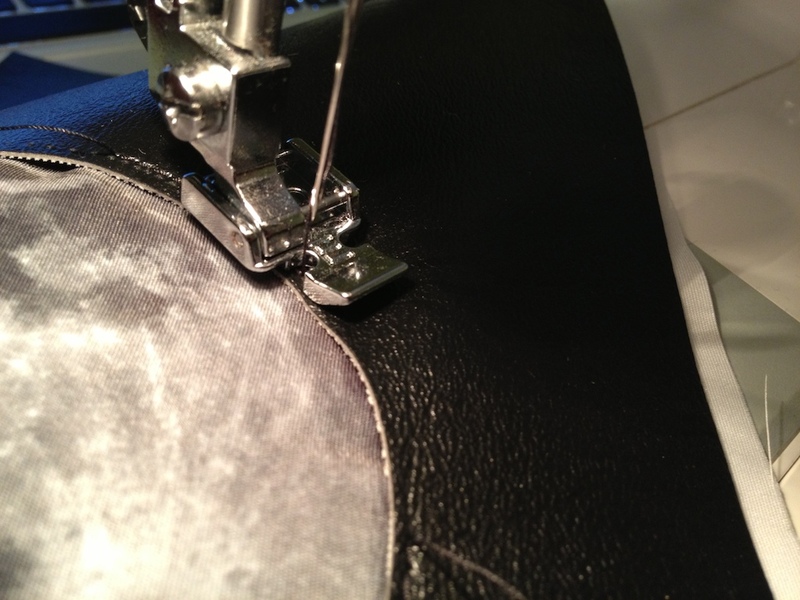 I continued the stitch all the way up the length of the vinyl as a decorative element. 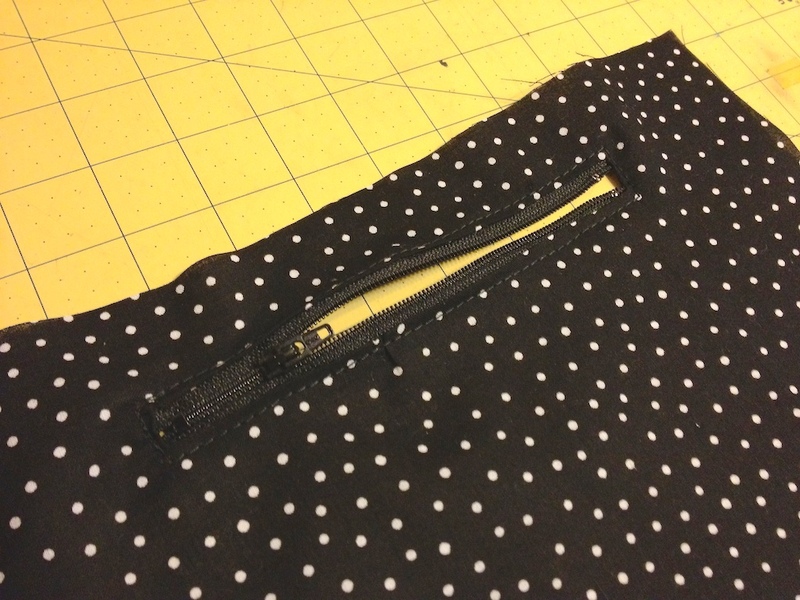 To form the bottom of the pocket without requiring extra stitches, I used a piece of athletic tape (not pictured). 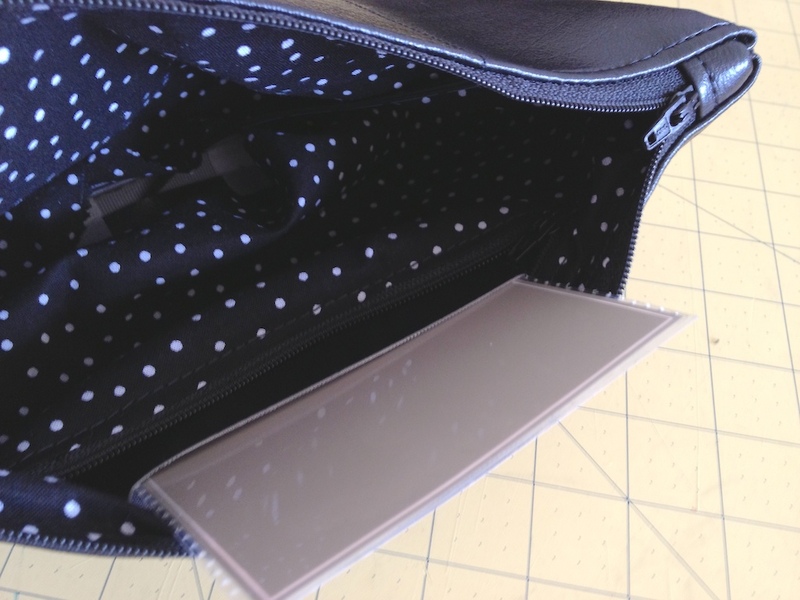 The fabric lining of the bag required a zipper that would allow you to switch out the template, so I sewed that into a piece of fabric reminiscent of a star field. From there it was just a matter of sewing the external zipper into the vinyl and assembling the pieces, then turning it right side out. 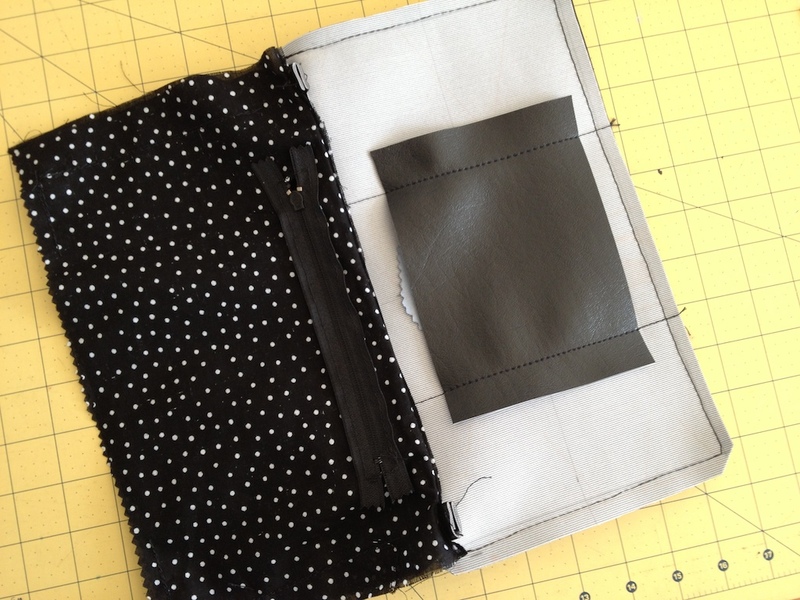 Here are a few pictures, but I’m not going to go into all the detail of what to sew and how. Find a pattern you like and adapt it. 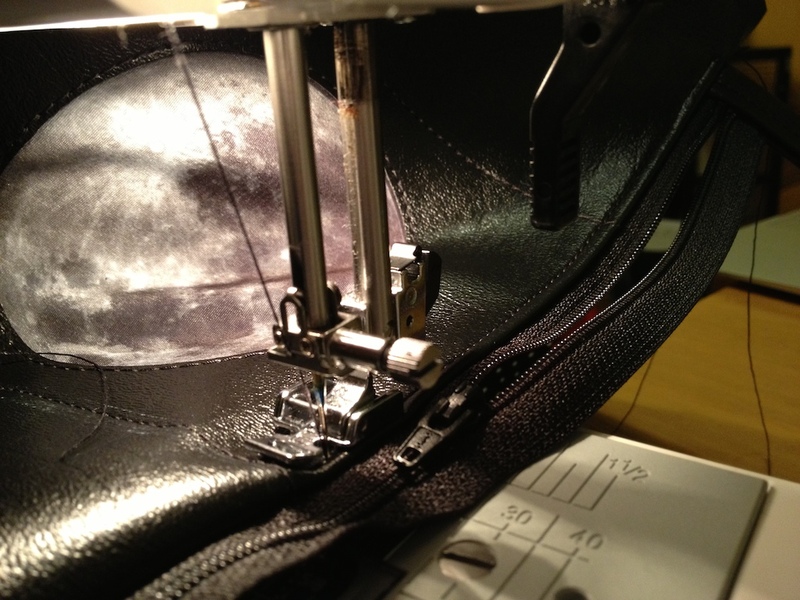 With everything assembled, I inserted the panel and inverter/battery pack, then stitched shut the opening left in the lining through which the clutch was turned right side out. It worked, and looked great! The inverter made a slight whine, but closed into the bag you couldn’t hear it unless you listened in a quiet room. What’s eight feet across, has 90 teeth, and makes beautiful designs? Not a shark with an art degree, but this giant version of the classic Spirograph drawing toy. Chalk is the medium, and streets and sidewalks are the canvas.